The holidays are right around the corner, agents! For real estate, it’s a time of hustle and bustle, year-end figures and next year business planning. So how about a little something to lighten the mood? 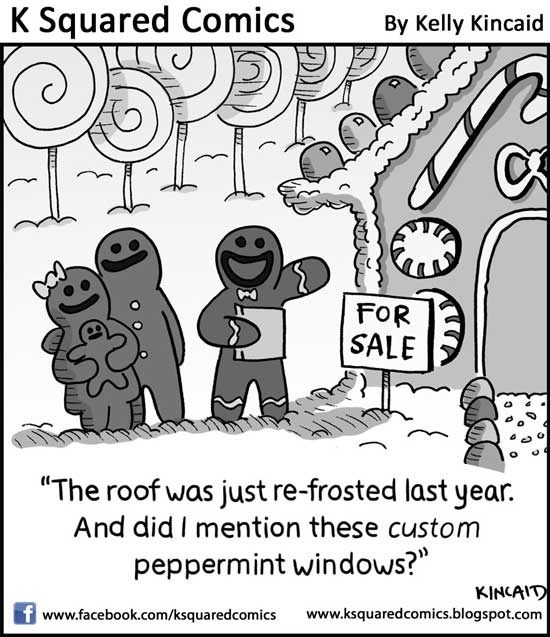 We’ve scoured the depths of the Internet to find an assortment of funny real estate comics and bad listing photos that celebrate the season. Put down those listing brochures, pour yourself an eggnog, sit back and prepare for a chuckle. Great news! This listing has a window. And a tall, skinny tree. Or a flagpole. Or maybe a lightning rod. And possibly not a roof. Whatever happened to sitting on Santa’s lap? Does this bedroom have a closet? Maybe, maybe not. But does it have a creepy Santa doll? Most definitely. Bare front patio? Just Photoshop in some presents! Looking for more funny real estate comics or photos? Check out our Pinterest board. If you’ve found anything festive and funny, share a link below!